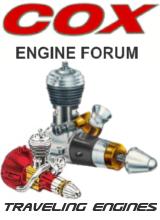 Check out the Russian VA .020 engines for sell on eBay today for BIN $29.95 plus shipping !!!! He must have a lot since he's sold a few in short time. I did take unavailability of plugs into consideration before I placed my order. Since the VA .049 is interchangeable with the Cox TD .049/.051 with regard to glow heads and mounting holes, I'm gambling that the Russian logic will continue on the .020. 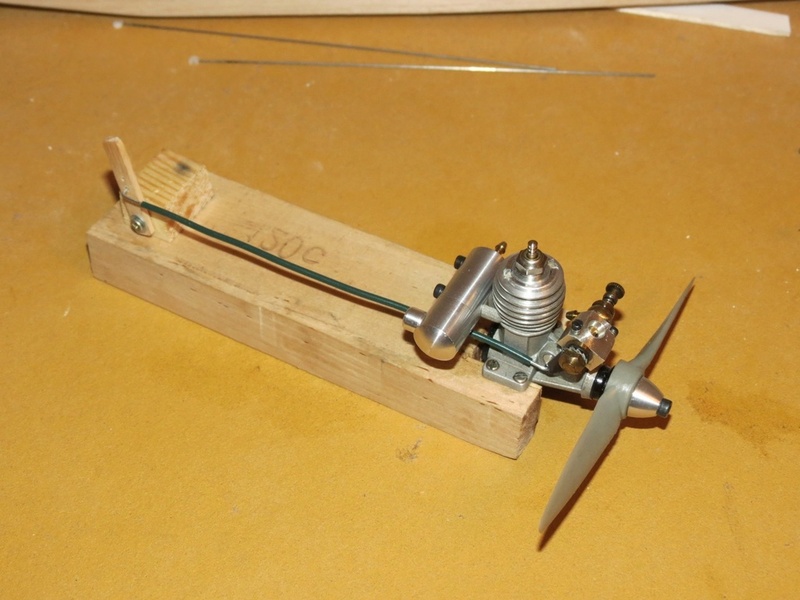 The description read that mounting holes were the same as the TD.020 flat back mount. I figured a 50/50 chance that the Cox .020 heads may work. This is the gamble you take with orphan out of production engines. At any rate I'll get something I can enjoy from now on for the price of about 30 seconds of fun at Harrah's casino. 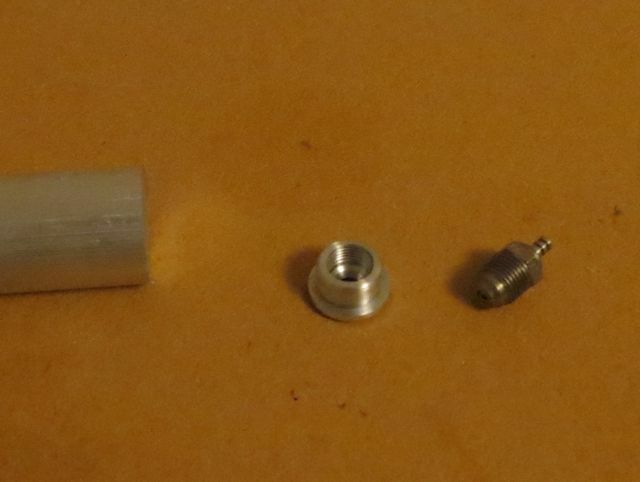 The VA .049 MkII does not use the Cox .049 head (unlike the Mk I), so I have made a Turbo plug head for mine instead. That could possibly be done on the .020 too, if there is enough room. I think Andy W (on RCU) also made a few carbs for these, when they first arrived some ten years ago (or more?). Thanks for the info on the VA .049 Mark II glow head. I've long wanted to get a Mark II but they seem to be few and far between and evoke vicious bidding when they show up for auction. I remember an old contact buddy who said he had one years ago but he didn't remember if his dog ate it or it's lost in his sock drawer ? Maybe if I can get it, I'll pay you to make another turbo or a nelson plug version glow head. With your machine skills and tools, I'd ask you to make some turbo or nelson plug heads for TD.09's if I could. Thanks for putting us onto the VA .020s. Dave Acton who is selling them is one of the principals at PAL. They have had many fine represent made by VA; new designs, too. Dave is president of the Brooklyn Skyscrapers, one of the oldest model airplane clubs anywhere. Look up their website and enjoy it. Their history is a history of model aviation. My VA.020 arrived today and the glow plug IS NOT compatible with the Cox .020 glow head. It is a small drop in plug and clamp design. 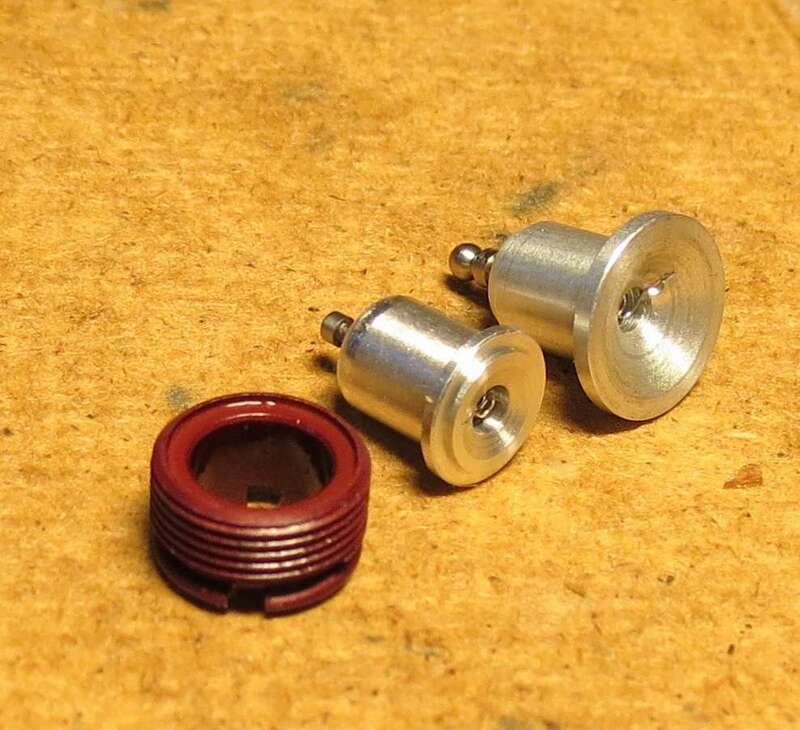 With some quick eyeball comparisons, It looks possible for a good CEF lathe man to machine down a .049 Merlin or a Glo-Bee drop in plug to work. What ever the outcome, I got another pretty charm for my charm bracelet. It'll look good with it's two bigger VA .049 Mark I brothers. Fighting the metric system one inch at a time !!!! Thank you for the information about Mattes and Merlin !!! I went to the Merlin website airplane product page and couldn't tell what I needed so I went to the Merlin price sheet. They had a picture of the Glo-Bee flat coil and it looks just exactly what the VA.020 has. I'll find if it works or not by ordering a couple or three and see if the spare parts dilemma is solved. Great intel !! I'll order some from Merlin and see what's what. Then I'll post what I find for anyone else who might have picked up a VA .020. First I want ot thank Steve for posting about it here and of course I want to thank the seller for a great deal and service. Two of these engines are now in my hands. With combined shipping it was a very sweet deal in total, in spite of the extra tax and stuff that we always need to pay here. The engines are complete with extra head shims and piston shims (I assume), including two different intake venturies. The thread of the intake looks like a standard M5 so it should be quite easy to modify the intake or adapt a carb etc. From what I remember in the past these engines are said to be low compression and that seems true for mine. I didn't manage to get the conrod of the crank-pin, in order to check the piston attachment but it looks to be the threaded type that they also used on the .049 MkI. 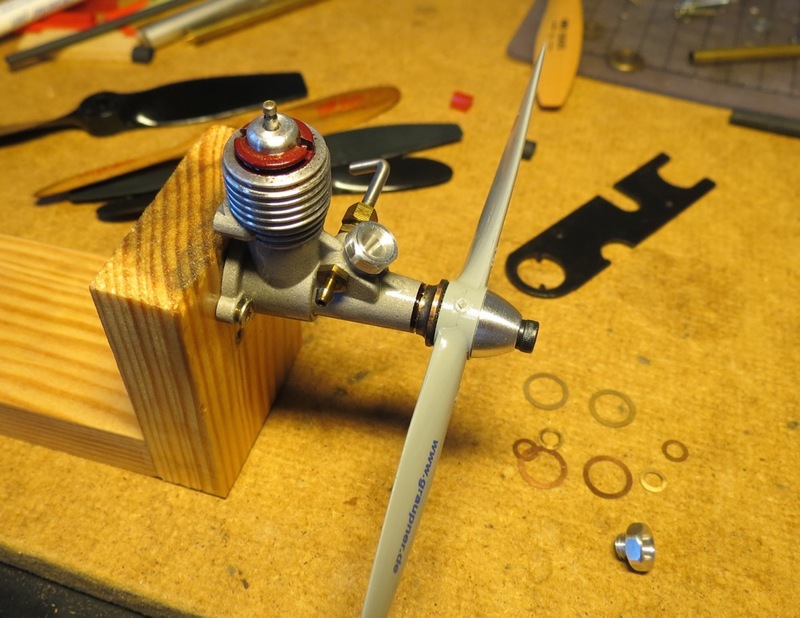 The head tool of the cox .020 fits the head clamp, and I removed one of the head shims, to run with a single shim. I think one could easily remove a little bit from the head in a lathe in order to increase the compression ratio further (or raise the piston a little if I manage to get it appart). So a big thanks again Steve, and I hope we can all update this thread with our findings, mods and tuning tips for these little gems! 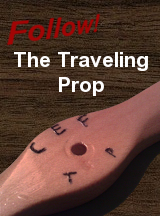 What is the weight less prop? Thank you Ken, so 25g not bad at all. 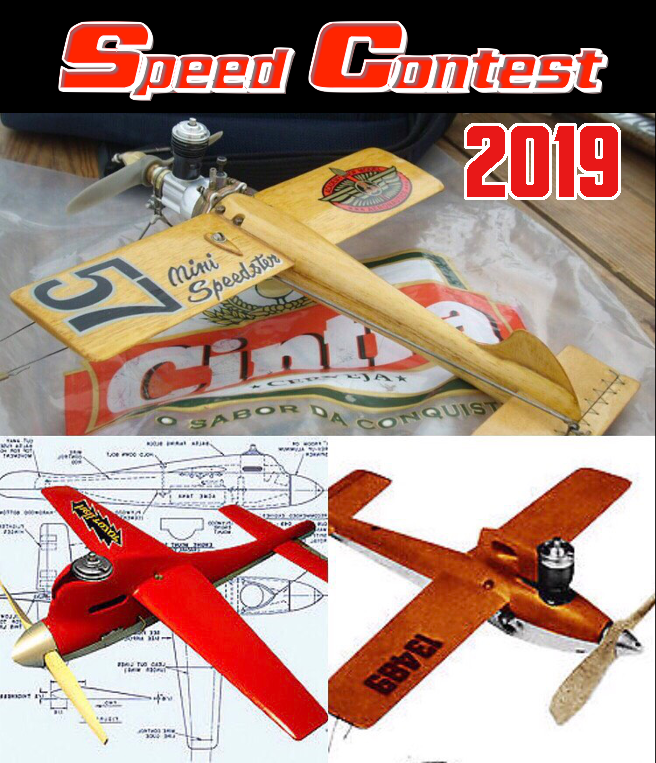 Folks please share your flying vids and any bench tests! back plate plus rear induction so power is down. 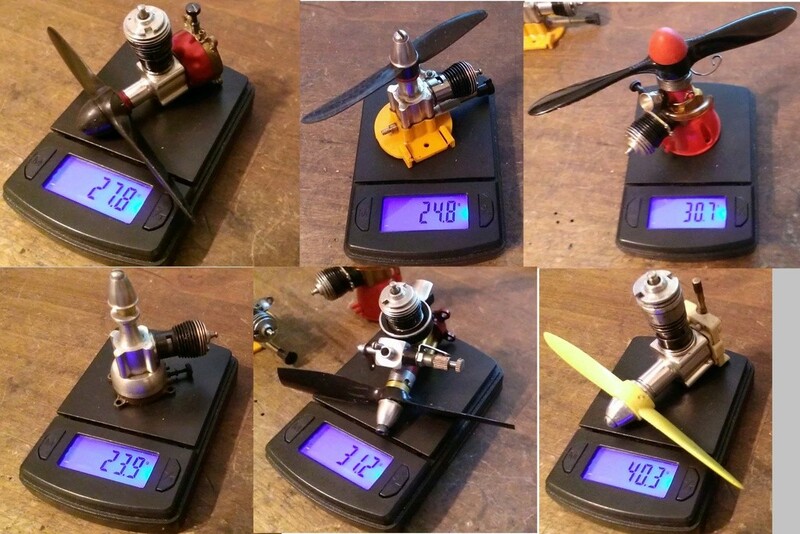 Here are some weights with throttles, spinner, odds and ends per engine. Thanks Kris and Ken for the kind words...Glad you all picked up an engine or two to have some fun with .. I got slowed last week due to family stuff so I placed my order with Merlin today to try to get compatible replacement plugs for the VA .020. Researching the Mattes web site for the best info, I ordered the Glo-Bee #10 Black drop in plug plus some other stuff. What are the glow Bee #10 drop-in plugs meant for, the Nelson clamp or something else? I doubt that it would fit right in but it could possibly be machined down in a lathe. The VA head drops into the liner a little, in typical ABC fashion. I looked at the plug closely last night, I discovered that a Norvel plug could work by taking .020" off of the outside diameter. The base would also need to be turned down which has plenty of material to do so. The VA plug seals due to a shoulder cut on the base of the plug. If a Norvel plug is to be used, the compression may slightly be lower due to the hemi portion of the plug. I want to give it a try. I just may have to remove a head gasket. It might be possible to make a turbo head for it though. The thread of the clamp looks like a M12x.075 thread, i.e. a fairly regular metric fine thread. Kris, the Norvel plus does have enough area but the dome of the hemi is quite higher. I read somewhere on the net that the stock plug has this .020 very under compressed. I haven't confirmed those findings. But I was thinking that if that was the situation a Norvel modified might make that worse. However, depending on how deep the shoulder cut was made to drop the plug height below the top of the cylinder may improve this. It appeared by glance that there was enough room to do so. I received the Merlin Glo-Bee #10 drop in plug and IT DOES NOT fit the VA .020 !!! Maybe as Ken mentioned , it might be possible to cut down a Norvel .049/.061 plug to fit. Otherwise, the VA will be run little or none, but since the OEM plug was probably made for high performance fuels it might last a long time with Cox 25% fuels. Steve, in doing a little research it was mentioned that the plug had this engine in a very decompressed state. This is actually good because it would certainly offer the plug a longer lifetime. This also tells me that the nitro could be increased quite a bit which I would bet that's what the free flight crowd was doing. 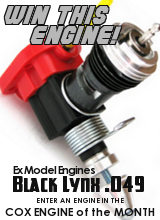 Their engine runs are typically short.The Norvel plug would work. I would love to get a little lathe time over my friends house but that usually doesn't happen for me until the colder months. My flying partner is currently shaping up for the NATS so I really don't want to bother him right now. I still feel that Doug Galbreath could shed a bit of light on this subject. Thanks Ken...Always great intel !!! 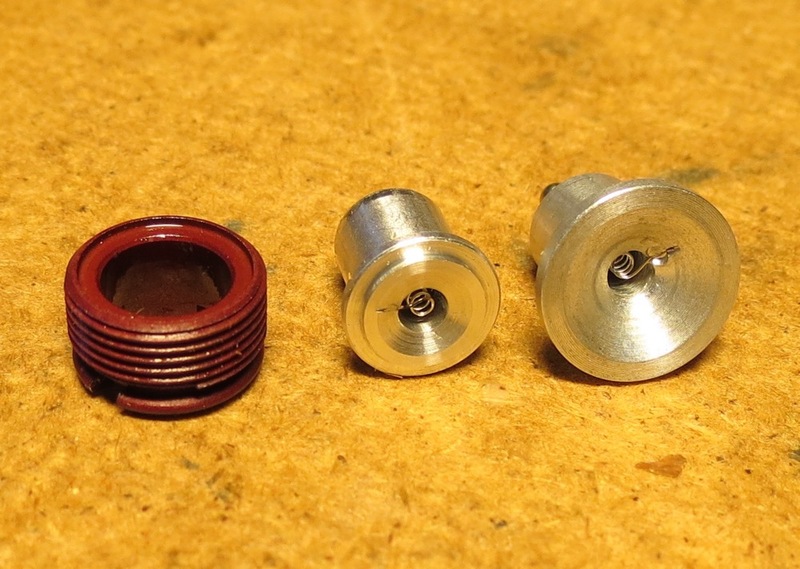 If You need a couple of new Norvel plugs to try out on the lathe, let me know. I'd like to get one machined if it turns out to be possible. If I get some free time here shortly, I'll email Doug the printer.